In this Gospel Message entitled ” Understanding God’s ‘If, And’s, or Buts’ Relationally!” Part 2, Pastor Timothy Brassell of New Life Fellowship of Baltimore, Proclaims though Psalm 89 The GOOD NEWS of the COVENANT GOD Revealed in Jesus Christ – God: Father, Son and Holy Spirit! Learn that because God is Himself OUR salvation, then Salvation is not just a static some”thing” we are saved FROM but a DYNAMIC RELATIONSHIP of the RELATIONAL GOD we are saved INTO; emphasizing that the God Who IS, DOES Who He is! Be challenged not only to hear the GOOD NEWS, but challenged to EMBRACE and BE TRANSFORMED AGAIN and AGAIN, as Jesus’ disciples, BELIEVING that, as men and women made in His Image, BELIEVING is an ACTIVE, MOVING, RESPONSIVE, PARTICIPATING, RELATIONAL RISK-TAKING ACTIVITY to the glory of the Father, through the Son and by the Spirit! 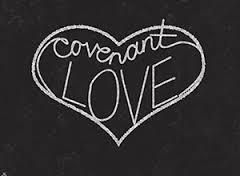 This message also touches on the often difficult but realistic situations we can find ourselves in as we live out and dimly show God’s Covenant Love in our present marriages and personal lives!